After week of searching only one female cougar was found in the area where Bober's body was found. The Oregon Department of Fish and Wildlife (ODFW) ended its cougar-capture operations in Zigzag on Friday Sept. 21 because a cougar ODFW killed nearly two weeks ago is most likely responsible for the state's first fatal cougar attack. ODFW was searching for cougars in the area because a search-and-rescue team found the body of 55-year-old Diana Bober, of Gresham, approximately 100 yards from the Hunchback Trail on Sept. 10, and the Oregon Medical Examiner's Office determined she died from injuries consistent with a cougar attack. After discovering trail camera footage of a cougar where Bober was killed, the U.S. Department of Agriculture Crews tracked down and killed the animal on Friday Sept. 14. ODFW sent the cougar's body to the U.S. Fish and Wildlife Service Wildlife Forensics Lab in As hland, but scientists were unable to extract relevant DNA that would prove it was the animal responsible. 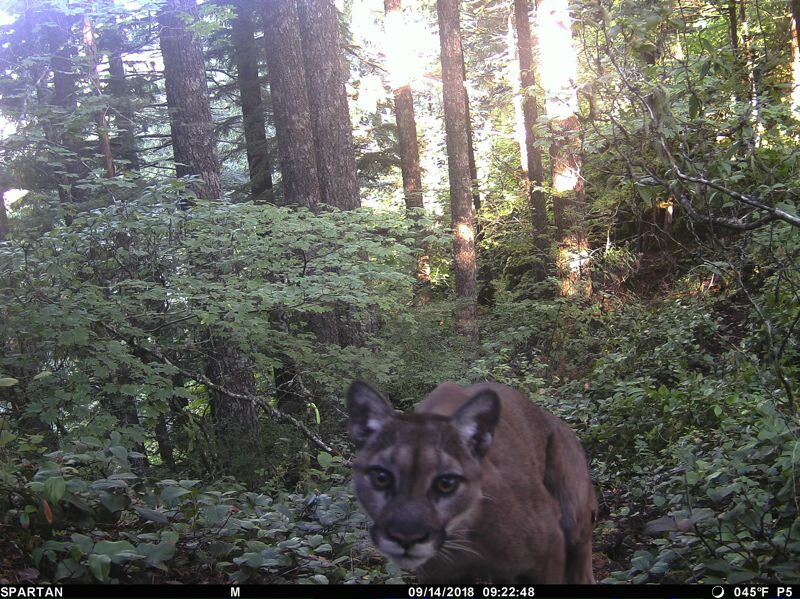 However, because crews found no evidence of other cougars in a 71-mile radius of where Bober was found, there's only a slight chance that another animal attacked the woman, said Derek Broman, ODFW carnivore coordinator. "It is highly probable that the cougar that killed Diana is the one that we killed last week," Broman said on Sept. 21. After the cougar's autopsy, it was unclear why the cougar would have killed a human. "It is impossible to determine why the cougar attacked Diana. There is no sign that it was sick or unhealthy and a rabies test was negative," Broman said. "Wildlife behavior is unpredictable but cougar attacks are extremely rare throughout the western U.S. where cougars are found." While Broman recommended hikers visiting the Hunchback Trail make themselves aware of cougars, the trail is safe to traverse. Before heading out to hiking trails, ODFW recommended visitors review safety tips for living and recreating in cougar country by visiting https://www.dfw.state.or.us/wildlife/living_with/docs/CougarSightingSignFinal2.pdf or https://www.dfw.state.or.us/wildlife/living_with/cougars.asp.